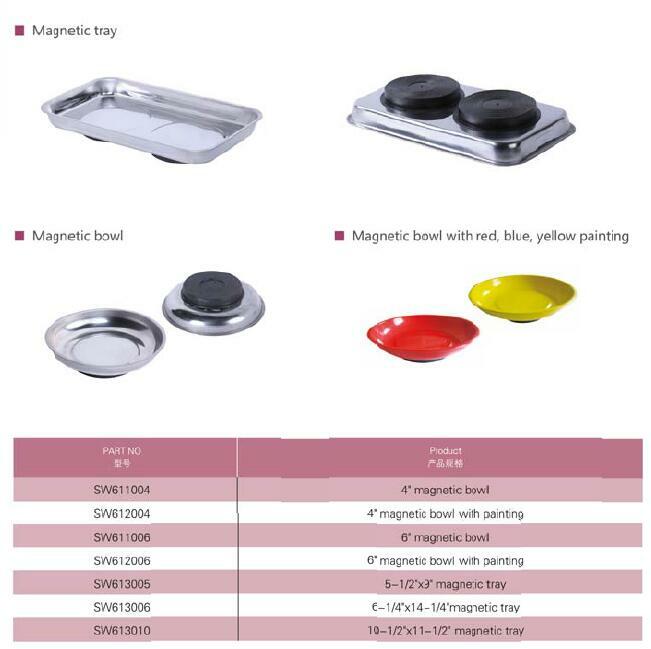 Magnetic Bowls consist of stainless steel bowl and ferrite magnets with rubber covered. They can help improve working efficiency by holding small hardware parts such as bolts, nuts, screws, nails and preventing them lost in the workshop, garage, shed, etc. Magnetic Bowls consist of stainless steel bowl and ferrite magnets with rubber covered which can help improve working efficiency by holding small hardware parts such as bolts, nuts, screws, nails and prevent parts from losing in the workshop, garage, shed, etc.